Everyone like a deal! Great daily specials, and special deals for ordering online! Why take any chances? 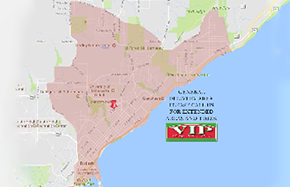 Let VIP give you the best ingredients for you and your family. 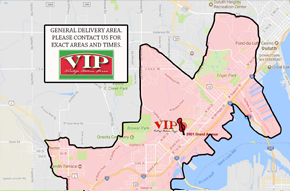 Whether it's dad's turn to feed the kids, a no-hassle birthday party, or a night out with the entire family, here at VIP we take pride in our generous portions and top quality ingredients. Our famous pizza and hearty pastas are made lovingly from old world family recipes and 100% real cheeses! Don't take any chances! Print out this coupon and take the guesswork out of tonight. Call ahead or order online! What could be easier? Don't forget our great daily specials, too! Tuesday: $7.95 10" Taco Pizzas! Designed by Mexicans, perfected by Italians! Sunday: All Day Sunday - $4.99 Spaghetti Special and All-Day-Happy-Hour! *Only ONE coupon can be applied per order, for a maximum of $7 off per transaction. Please contact us with any questions.